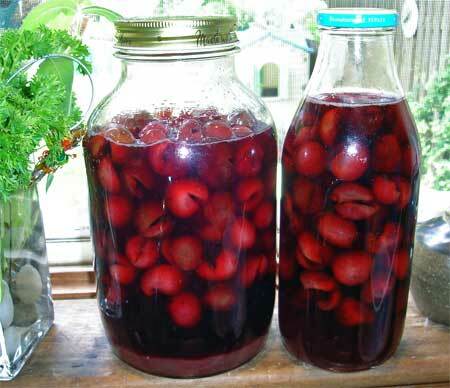 Have a sip of homemade cherry cordial to ring in 2009. Happy New Year! I hope your celebrations went well last night and you all filled your bellies with pork, sauerkraut and mashed potatoes today. I wanted to take a moment to thank everyone who has supported me this past year. Thanks to all the customers who bought products from me, all the family who babysat my kids so I could work, all the friends who I vented to and, of course, to my kids who had to wait to play Monopoly until mommy shipped out this one last package. May all of you have a wonderfully happy, healthy and prosperous 2009!